Markets showed some of their traditional (northern hemisphere) spring volatility this week. 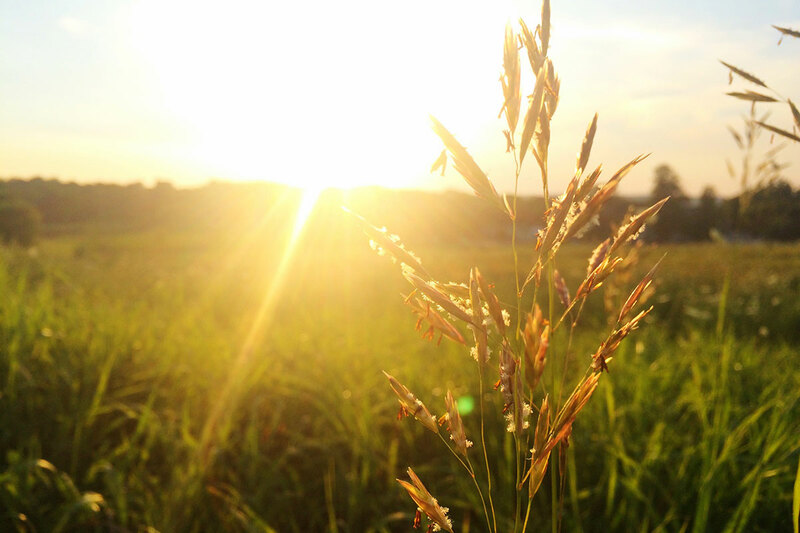 Rumoured ethanol mandates in the US pushed all markets higher, before some of the sting came out of the rise thanks to increases in South American corn and soybean production forecasts. There were rumours this week that there might be some form of ‘Executive Order’ regarding the amount of Ethanol to be produced in the US. Without boring you with the details, the market took the view that Trump was going to increase the demand for ethanol, which means more corn and oilseeds will be required in the US to make it. The market was looking for some news, and it jumped higher on Tuesday night. Wheat gained 14¢, Corn 10¢ and Soybeans 16¢. 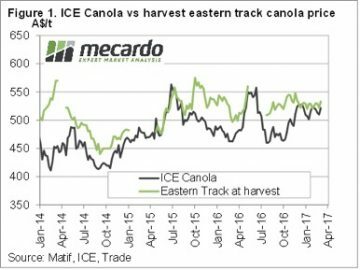 In Canada canola joined in, with the ICE Spot contract gaining $17 to hit a new 3 month high in Canadian terms. In our terms ICE has been bouncing between $500 and $520/t since November, with physical prices in a similar, but slightly higher range (figure 1). This week canola was close to its highest levels since November. Despite the AUD sitting around 76US¢, CBOT in our terms reached a new 8 month high this week with the May contract hitting $217/t (figure 2). Dec-16 is back above $240/t and looks reasonable selling value. Especially compared to ASX Jan-18, which at $248 is showing weaker than normal basis, although we do have a big crop to carry through. 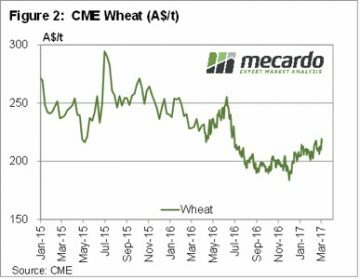 There was some export demand in markets this week, pushing wheat prices slightly higher. Plenty of APW trades went through on CLEAR at levels $10-15 higher than published bids, but prices were still only in the $210-215 Port range. This is close to parity with CBOT wheat. The grim weather outlook released last week might add a bit of strength to grain prices. From now on many grower will take the view that grain in store is a good drought hedge, with prices likely to have a lift if the autumn break is late, or worst case, non-existent. The problem with this theory is that there is still a lot of grain out there, which will could flood the market at certain times. As usual the key is to watch the basis, as this is a good indication of selling opportunity.